The Block is an immersive interdisciplinary devised work exploring themes of social status, public and private personas, the notion of ‘home’ and belonging. 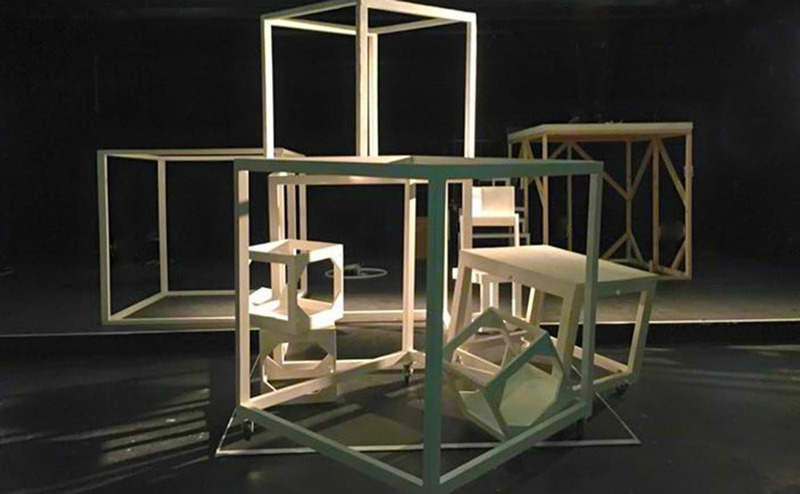 Created with undergraduate Performing Arts students at the University of Cumbria, the work shifted, morphed and evolved and over an intensely imaginative seven-week period. The process culminated in an innovative, somewhat ephemeral performance that invited audience members into an imagined ‘block’ of flats in an immersive and sensory world. Through complex layering of stylistic conventions, such as rhythmic vocal techniques, soundscapes, synchronised movement and breath, the audience found themselves embroiled in stories of debt, domestic abuse, childhood antics and social stereotypes. Caught up in the vast, ever-changing set, the public were free to choose their vantage point as the action moved around them, morphing into scenes of day to day life as imagined the young yet diverse cast.